After playing an integral role in Sri Lanka’s historic triumph against Pakistan in the two-Test series last month, opening batsman Dimuth Karunaratne is eyeing yet another successful outing and this time it is against the world number one side India in their backyard. He, however, is under no illusion of the enormity of the task and is well aware of two biggest threats- India’s deadly spin duo – Ravichandran Ashwin and Ravindra Jadeja. “Generally, the off-spinner poses the biggest threat for a left-hander, but on wickets that turn, the most difficult thing is to play the ball that comes in to you. So Jadeja will the bigger challenge for me. I have scoring options against him, but Ashwin is a smart bowler. He rarely bowls a loose delivery,” Karunaratne told Cricbuzz. 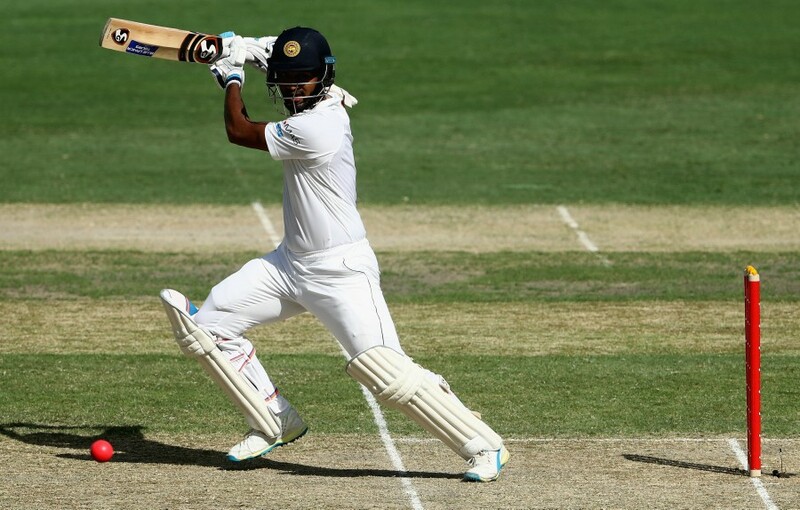 Unlike Sri Lanka, Karunaratne had a fairly good outing when India toured the nation for a three-Test series in August this year. While the Islanders were whitewashed, the left-handed batsman proved his worth by scoring one century and falling short of another by just three runs. And having played Ashwin enough during the series, Karunaratne knows a thing or two about how to deal with the ace spinner. “You have to be smarter against Ashwin. There’s no point of adopting a counter-attack approach against Ashwin. If you do that, he will get you. You have to be solid against him. You have to keep your ego away when you are playing him. You have to respect him. Ashwin always wants to get wickets. When you deny him the wickets, then he will go to other options. 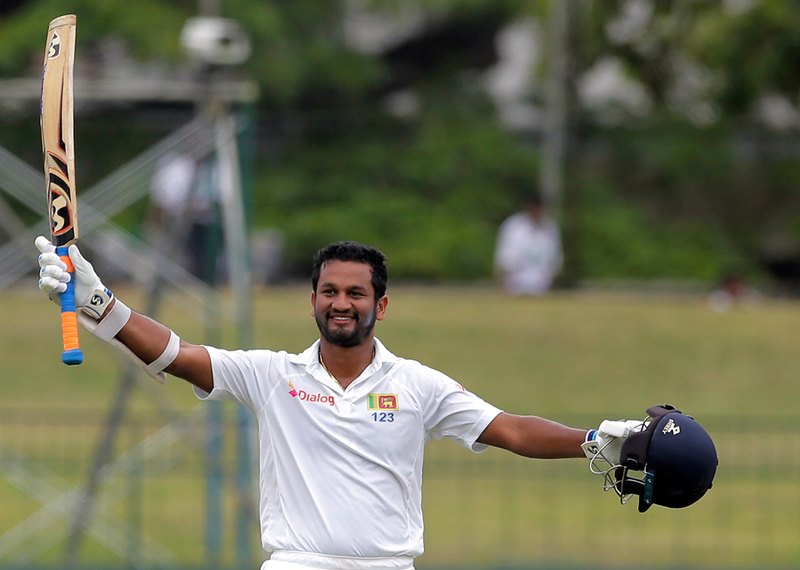 You have to cash in when he loses patience and when he comes on for his third spell or so,” Karunaratne said. The 29-year old, who bagged the Man of the Series award against Pakistan, has been in fine form this year. He is the third highest run-scorer in Tests this year, having scored 960 runs with three hundreds and three fifties. Karunaratne further spoke on how he and his teammates did not get enough preparation before the series against Pakistan and hoped to arrive in India well-prepared. “We have a three day break before we leave to India. After the Test series against Pakistan, during our training, we tried to focus a lot on playing spin. We trained on under prepared wickets. Due to the rain, our sessions were limited and we were forced indoors. You can’t prepare for conditions when you play indoors. But we have eight days in India before the first Test and we need to make most of it,” he said. 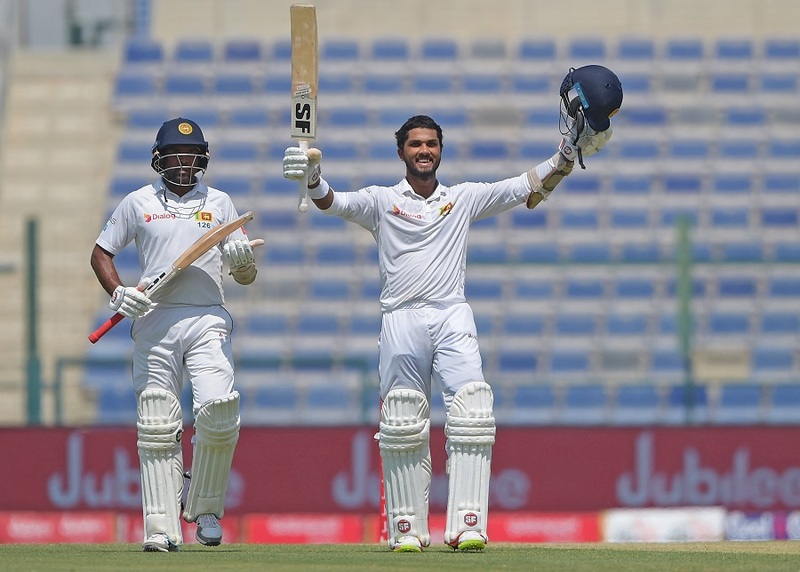 Having played in India only once during his under-19 days, the Sri Lanka star said he is relying on videos of other overseas left-handed batsman who did well in India. “I have played little cricket in India. The last time I played there was in 2005 with the Under-19 team. No idea what to expect there so I am watching some videos,” he said. “I am watching how Alastair Cook batted in India. I am also taking a look at footage of how other left-handed openers like Matt Renshaw and Tom Latham went about things in India and hopefully that will come in handy. The SG ball that will be used will be tougher than the Duke ball. It will be a tough task to adjust to the bounce and seam. Your character gets tested in places like Australia and India and I am looking forward for that challenge,” he added. The three-Test series will start on November 16 before the teams take on each other in three ODIs and as many T20 Internationals. Suresh Raina missing from Indian squad, to miss third ODI?